For over 40 years Robert L. Jones, III (Bobby) has dedicated his practice to advocating his clients’ interests in the courtroom and more recently, at mediations. While primarily defending major corporations, he has assisted Arkansans in a broad range of matters. 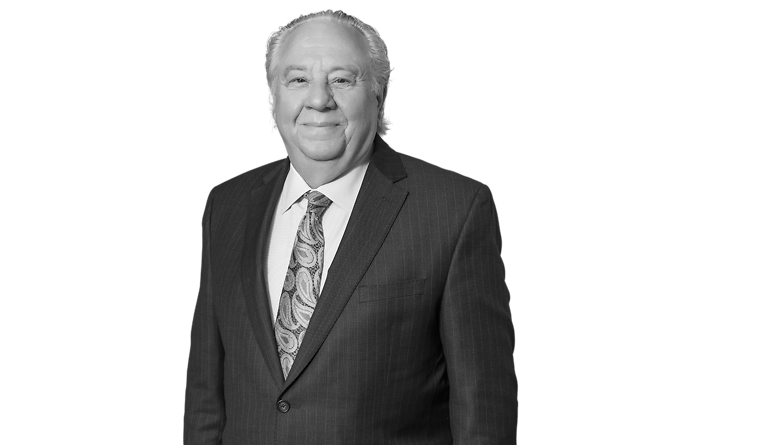 Bobby has had considerable success in the courtroom trying over 300 jury trials, as well as over 1,000 nonjury trials and over 100 mediations. He is a leader with the use of technology in the courtroom, having started this trial tactic as early as the 1990’s. He has defended motor carriers, accountants, physicians, architects, engineers, attorneys, hospitals, airplane and helicopter manufacturers, as well as many Fortune 500 companies. He has defended wrongful death cases, catastrophic injury cases, brain damage cases, oil and gas lawsuits, breach of contract cases, employment cases, product liability cases, environmental cases, toxic tort, fires and explosions, and class action lawsuits including carbon dioxide cases, consumer products, and wage and hour claims. He has also successfully settled over 90% of all cases he has mediated during the past 10 years. Bobby’s efforts on behalf of his clients have not gone unnoticed. In 2010, he was named the Outstanding Lawyer of the Year by the Arkansas Bar Association and Arkansas Bar Foundation. In 2015, he was named as lawyer of the year in Bet-the-Company Litigation by Best Lawyers and one of the nation’s top 1% by the National Association of Distinguished Counsel. He is also a superb rated attorney by the AVVO rating system obtaining the highest score of 10/10. In 2004, he was invited into the most prestigious organization of trial attorneys in America – the International Academy of Trial Lawyers. That association is limited to just 500 lawyers under 70 throughout the United States. That is less than 1/10 of 1% of all the lawyers practicing in America. The meetings that the Academy holds around the world have afforded Bobby a network of trial lawyers of great note that has significantly broadened his ability to select expert witnesses, as well as share up-to-date litigation and trial techniques on the cutting edge. Bobby has been elected to the Academy’s Board of Director’s 2010-2016. He was chair of the Budget and Finance Committee (2012-2014) and has been elected Secretary/Treasurer for 2016/2017. He is also on the Executive Committee. In 1990 he was inducted as a Fellow into the American College of Trial Lawyers, which is limited to 1% of attorneys throughout America, and similar benefits with his fellow college members exists like that of the International Academy. He is a past State Chair of the ACTL. Bobby has been included in Best Lawyers in America 2003-2017 in the category of Bet the Company Litigation; Mid-South Super Lawyers 2006-2017; Mid-South Super Lawyers Corporate Edition in the categories of Corporate Civil Litigation, Bet the Company, and Personal Injury 2010-2017. He is Past President of the Sebastian County Bar Association, Arkansas Bar Association, Arkansas Bar Foundation, Arkansas Association of Defense Counsel, as well as State Chair of the Association of Defense Trial Attorneys (2004-2014); 2005 Eighth Circuit Judicial Conference Program Committee; Federal Advisory Committee, Arkansas Western District; United States Magistrate Selection Committee, Western District of Arkansas (2008-2010); member, Federal Advisory Committee, United States Court of Appeals for the Eighth Circuit (2006-2009); Co-Program Chair, Eighth Circuit Judicial Conference 2010; member of the American Bar Association; member of the Trucking Industry Defense Association; and a member of Transportation Lawyers Association. In 2016, he was appointed by Governor Asa Hutchinson as a Special Justice to the Arkansas Supreme Court. Bobby has spoken at many seminars including Northern Louisiana Defense Bar, Arkansas Trucking Seminar, DRI, IADC, and ADTA. He has also spoken internationally in Dublin, Ireland and Barcelona, Spain on the use of technology in mediations and the courtroom. He has spoken at the Arkansas law school, the Arkansas Bar Association meetings, the Arkansas Association of Defense Lawyers, the Trucking Industry Defense Association’s annual meeting in Las Vegas, NV, the 2015 annual meeting of the Arkansas Trial Lawyers Association in Eureka Springs, AR, and most recently at the 2016 Arkansas Trucking Seminar. Bobby has also authored articles on toxic torts and ADR in For the Defense, published by DRI. He recently authored a chapter on ADR in a 2015 DRI publication entitled, Young Lawyers Guide to Defense Practice. Bobby grew up in Fort Smith, Arkansas. He comes from a family of lawyers. His father, Robert L. Jones, Jr., was an attorney in Fort Smith. They practiced law together for over 20 years. In fact, Robert L. Jones, Jr., was also President of the Arkansas Bar Association, a Fellow with the American College of Trial Lawyers, and received the Outstanding Lawyer of the Year honor from the Arkansas Bar Association in the 1980’s. Bobby is married to Cheryl Woolbright Jones and has four children: Michelle Kooi, CPA, Durango, Colorado; David P. Jones, Attorney, Fort Collins, Colorado; Ashley Daws, School Teacher, Nashville, Tennessee; and Rachel Cannon, Chef, Nashville, Tennessee.